Rahul Gandhi’s first major TV appearance sends mixed signals to Indian voters. In his first appearance before the Indian nation after a decade in politics, Rahul Gandhi, the enigmatic Vice President of the Indian National Congress, turned a new leaf on Monday evening when he engaged in a grueling one-on-one TV interview with a difficult inquisitor: Arnab Goswami. Gandhi faced a barrage of questions on his past, his political beliefs, his dynastic origins, and his developmental agenda. The interview was intended as an image makeover for the reticent politician, as indicated by his choice of Goswami, who is known for his abrasive and aggressive way of questioning. The question on everyone’s mind during the interview was: how will Rahul Gandhi perform? How is he going to face the questions which haunt his government, his party, and the government leadership? Before one can criticize him for avoiding direct answers to many questions, one must to understand that India does not have a tradition of a prime ministerial candidate offering himself for scrutiny during a prime time interview. One needs to credit Gandhi for facing Goswami’s often difficult and uncomfortable questions without walking out of the studio or becoming aggressive. His political opponent, Narendra Modi, the right-wing Hindu nationalist leader and prime ministerial candidate of the opposition Bharatiya Janata Party (BJP), has a reputation of repudiating the interviewer and walking out of the studio the moment unpalatable questions are asked. The positive side of Gandhi’s interview was his emphasis on empowering the people through democratic processes. His constant attack on the system sets him apart from established political discourse, where there is hardly any discussion about reforming the existing democratic setup. Gandhi also propounded the idea of making India a manufacturing hub in Asia, thereby challenging China’s dominant position. Where did Rahul Gandhi flounder? On the issue of corruption, young Gandhi failed to convince his interviewer. He did not take his government to task or criticize it; he kept on repeating how the Right to Information Act (RTI) and Anti-Corruption Law are important in combating corruption. What was disappointing for his followers was Gandhi’s failure to take on Modi head on. He failed to mount the kind of hard-hitting response that one would expect from a Congress leader. He, however, blamed the BJP leader for abetting riots in 2002 that claimed more than 1000 lives of minority Muslims. The scion of the Nehru-Gandhi dynasty also floundered when he failed to convincingly answer a question on Congress Party members’ involvement in the infamous 1984 Sikh riots after the assassination of former Prime Minister Indira Gandhi. He accepted the involvement of some Congress members but failed to offer any apology for the incident, which claimed hundreds of lives, despite repeated prodding. Has he lost an opportunity to retrieve the lost fortunes of his party? Though Rahul Gandhi expressed confidence in winning the 2014 general elections, his performance on Monday night sent a mixed signal to the people across India. His failure to address the tricky issues of corruption, communalism, and dynasty left his followers confused and his cadres more dispirited than before. At a time when his political opponent is unrestrained and gaining momentum, the Congress’ presumptive PM’s less than inspiring performance does not serve the interest of the grand old party, which is faced with its toughest electoral challenge in the last ten years. However, Gandhi did not come across as a conventional politician. His frank and honest answers, his edginess, and his desire to challenge the existing ways of politics take him apart from established political players. He carries the burden of history and is positioned differently than his contemporaries like Narendra Modi and Arvind Kejriwal of the Aam Aadmi Party (AAP, or Common Man’s Party). The parameters of judging Gandhi have to be different . With Gandhi now opening himself for scrutiny, India will see him walking the talk more often than it has in the past. After 10 years of rule by the Indian National Congress, Indians have voted the Bharatiya Janata Party into power. 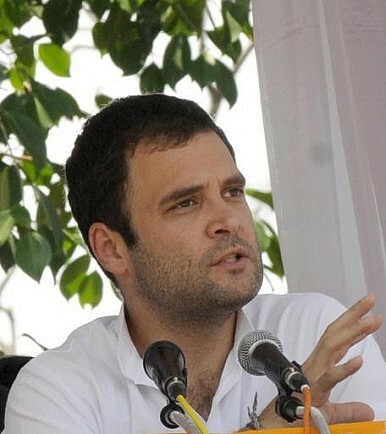 Narendra Modi Clarifies Statements on PakistanIndia Sets Dates for 2014 General ElectionRahul Gandhi Clarifies Political Ambitions, Will Seek Prime Ministerial JobIn India’s Elections, Voters Will Choose Between Guns and ButterRahul Gandhi in Wayanad and Amethi: What’s There to Lose?